Mmmm, interseting! Lol! Reminds me Vivienne Westwood creations.. Finally! A beautiful full figured Muslimah, Masha'Allah. Wonderfully dressed beautiful Somali hijabi. The whole outfit and her matching figure make her unique. this is just the coolest thing! only two colors but awesome patterns! this should look wrong but its actually great! Awesome, she really pulled off something creative & adventurous, masha'Allah! So many prints and still looking good, nice work girl! 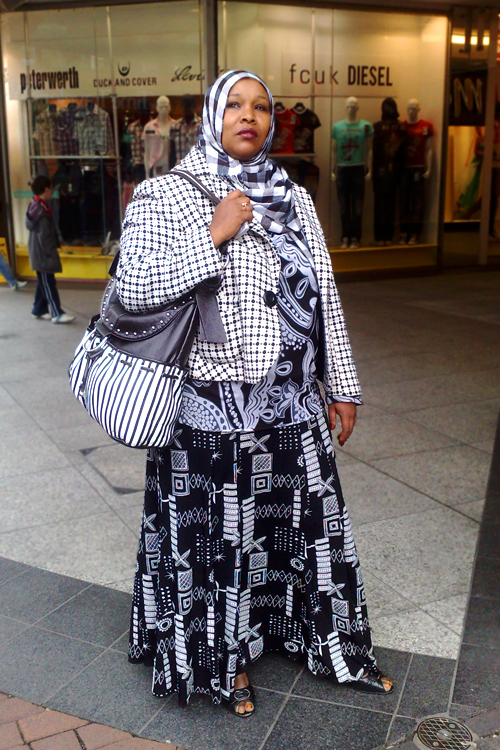 although there's like a lot of patterns this sister pull this look off really well mashaAllah!